Today I’d like to continue my Traffic Series with probably one of the most overlooked, yet valuable forms of traffic generation, authority building and commission friendly methods that I know of. I include this second in the Series as I believe it ties in perfectly with our opening post about Document Sharing. Just to elaborate for a moment – what is a Free ebook? Well it’s simply a short, snappy pdf which you have put together that you submit to Free Ebook Directories. You do not charge for these ebooks and they are free for whoever may wish to download them. But Why Give Them Away for Free? I bet a few of you reading this are thinking why the hell would I be recommending you create and distribute an ebook for free, this is a business after all and we all want to make money, right? Lets take the long-term view of this for a moment. You create your ebook (I’ll explain more on this in a minute) and submit to a list of Free Directories, some of these will allow you to upload your file to their server while others will ask you to provide a direct link to the zip file which you host on your own site. The likely scenario for most of us is that these Free Ebook Directories are getting a lot more traffic than our own sites. Now to increase your own traffic you can spend all your time chasing it through various methods or, as I’m encouraging here, you simply go and “hang out” where the traffic is! I recognize that you are giving these ebooks away for free but there is a way to monetize them that will allow you to make easy commissions on autopilot.How? – by including affiliate links to related products in the ebook. Say for example you are in the “self improvement” niche. During your short ebook you will be giving away tremendous value to your readers (this is a must because you want them to visit your site and become fan/customer of yours) and this provides you with a great opportunity. You can include a section in the ebook called “Resources” and include your cloaked affiliate links to a couple of recommended products which would interest your readers and compliment what you speak about in the book. This is not an excuse to spam your readers with offers or seduce them with your sleazy sales copy skills – keep it polite, keep it understated and don’t go overboard i.e. 3 highly related offers are a lot more useful than listing every vaguely related Clickbank product under the sun! Where do You Find Suitable Affiliate Offers? Well the usual place to start is with Clickbank. This is probably the most well known affiliate network/marketplace on the planet and caters for a wide variety of niches. Others include PayDotCom and Commission Junction. However the chances of you making affilate sales is greatly increased with the relevance of offer so don’t just link to any old garbage here. You can quite quickly and easily find affiliate programs for any product/service you want by simply searching for “Keyword + affiliate program” in Google. Sometimes the affiliate pages of products are not overtly advertised on their sites but by using the search method which I described above you will quickly find affiliate programs for whatever market you are targeting. Where to Submit Your Free Ebooks to? I’ve included a small list of Free Ebook Directories below, as I mentioned with the Document Sharing sites this list is only the tip of the Ice-Berg and with a little research you could easily increase it ten-fold…But I’m sure you’ll agree that there is more than enough to get you going! Okay, so we have enough to get you up and running…Now let’s move on and start putting all this good stuff together shall we? Where to Find the Content for Your Viral Ebooks? It can be a simple report of 10-15 pages that answers a burning question, a need, a desire that your target audience has. Oh ya, did I mention that you can also use plenty of pretty graphics in your ebook too? You see, all of a sudden it doesn’t seem so daunting, these Free ebooks don’t have to be very complicated and infact you should enjoy putting them together. Now, I understand some of you reading this may not be very comfortable writing your own ebooks – but thats okay, we can work around that. You can have the content created and delivered to you…the only downside to this is that you will have to pay a small fee for the privilege. There is a lot of garbage PLR products out there so I must warn you to do your due diligence and check out the vendor before purchasing. 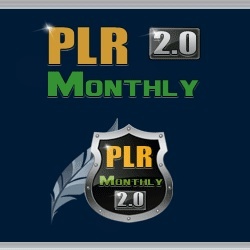 I can however recommend one very reputable source called PLR Monthly. This is a professional company which provide you with everything you need from the content, to the graphics, to the sales letters and a first class customer support facility. Dave Nicholson is one of the guys behind it and if you know anything about Dave you’ll agree he only puts out quality stuff. So that being said if you are interested in going down the PLR route you’ll be in safe hands with PLR Monthly. How to Create a Professional Looking Ebook? When I created my Video Marketing product Video Leadzilla I put the main report together in Mac Pages and exported it as a pdf. That’s all my ability would allow, I didn’t have any fancy images, no catchy graphics for the pdf – just the bare bones which I was able to put together. To be honest I’m not a designer and don’t have an idea how to put together these stunning looking ebooks that the “gurus” put out – that was until a couple of weeks ago. I got an email from John Thornhill promoting a WSO from Omar Martin. I never, ever buy WSOs anymore…I could write another blog post on that topic but I’ll sum it all up here by saying that I’m often left feeling disappointed after making the purchase. But if any of you are in this game for any length of time you will be familiar with John & Omar (just look them up in Google). Well anyway John never recommends BS in his emails and when I saw the product was by Omar I gladly checked it out. It was an all-in-one product creation system designed to allow anyone to create and sell professional looking, top-of-the-range info products. I didn’t buy it initially but returned later in the week and bought the $37 Mac Daddy Version. You see I have been slaving away on a product I’m working on and thought I could do it all myself…well I nearly did but again the “appearance” of my ebook was letting me down. Since I know people buy on emotions and images are so important in this process I backtracked and bought Omar’s Speedy Profit Creator system. I logged in, watched the tutorial videos and used his software to finish off my ebook in an hour flat. To say I was impressed would be an understatement. I can’t show you the ebook here because I haven’t launched the product yet but since then I have been playing around with his software and have re-done my Video Leadzilla ebook, and you can see the difference between the two reports HERE. The content is still the same but I’m sure you’ll agree that the newer one is far more appealing and easy on the eye? Free Viral Ebooks Just Rock! I was pretty pleased with myself because people were interested in what I was sharing and I got a lot of “thanks” from other users. But something strange happened – the thread was Closed. You cannot find it anymore on the forum and I was only able to track it down after searching around in my control panel for a link to it. I know this has turned into a long post but let me leave you with a few other idea’s to kick this whole system into Overdrive! give away Rights to your ebook. Allow others to pass it on to their friends, post links to it in forums, share it on social media etc. contact related people in your niche and offer them the ebook to giveaway as a bonus with any of their products. 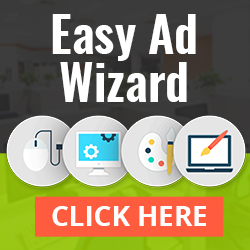 This is a fantastic way of getting your stuff distributed on autopilot to your target audience. The fact that it is given to them by someone they know will immediately position you as an authority figure to them and someone they will want to check out. perhaps when revenues increase you could hire an assistant who could take over the running of this for you. Imagine that their sole responsibility would be to re-purpose and distribute the Free Ebooks each week. Get a subscription with PLR Monthly, let them edit the material in Omar’s software, add YOUR affiliate links and then distribute around the web. The possibilities are endless with this method and I hope I have given you a few idea’s which you will take with you as you move forward. I first became interested in Free Viral Ebooks when I bought a Clickbank fitness product which was recommend in one. It’s only since then that I learned more about the whole area that I was able to appreciate how powerful it can be. Anyway this post is hitting 2k words so I’ll leave you go and finish up. Please leave a comment below, I enjoy hearing from you guys and appreciate your thoughts. P.S. I haven’t forgotten about the Big Announcement that I mentioned last week. I haven’t been given the go-ahead to unveil it just yet but don’t worry you guys will be the first to hear about it when I do! 30 replies to "Traffic Series : Free Viral Ebooks"
I will definitely be trying this our myself. Nice work with the Report, hope you see some results from it! Ah ya, hopefully everyone won’t be disappointed when you hear about it. I’m excited so fingers cross you’ll think it was worth waiting for! Hey Noel, I really like this post. Very valuable info you’re giving away here. I’m going to take your advice and create some e-books to submit to these sites. I am also going to create an e-book that will require people to opt-in. Of course, the content inside the opt-in e-book will have to be different from the e-book I’m going to submit to the directories you’ve provided. 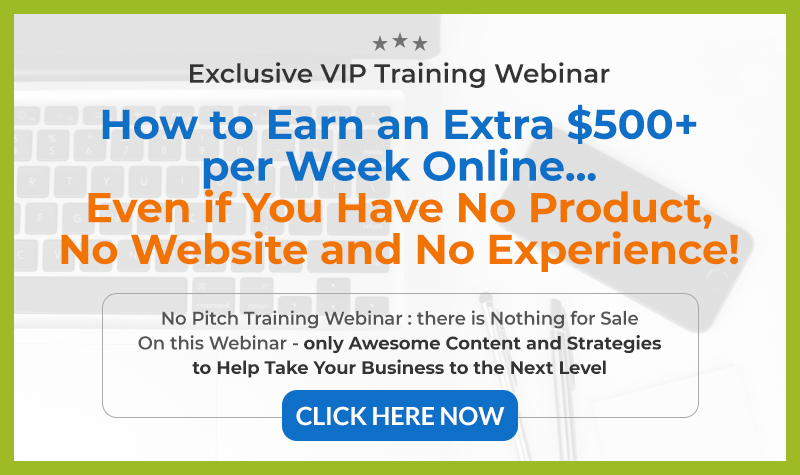 The reason I am doing it this way is because I want the opt-in incentive to be exclusive. If my prospects can get the same e-book for free from one of the e-book directories, I doubt that any of them will choose to opt-in my list. So in order to get more opt-ins, I’ve decided giving away a different ebook from the one I’ll be submitting to different directories. Ah ya, I hear ya about the coffee – I can’t function properly in the morning until I have a nice hot cup java inside of me! Really like your post. It’s got a ton of information. I’m always trying to learn stuff so I’ll check out some of the free ebook directories. Thanks again for the info. Hopefully you’ll get some use out of it! I agree that Omar Martin’s and Dave Nicholson’s products are top notch. I am going through one of Dave’s books at the moment and the quality is great by comparison to other stuff out there. Omar’s ebook creator is a bit quirky but can really help you produce a professional looking ebook. With cheap or free ebook offerings, often the production values (or the look of the product) can make a huge impact on the perceived value (that pretty much goes for any product actually regardless of price). Ya, Dave seems to on top of his game. I heard about him a while ago through an email from another marketer and was introduced to him that way. Do you use SPC, how do you find it? On my first run I noticed a couple of small things that had to be fixed (like a link not working) and email their support desk. Got a reply from his wife Melinda who got their programmer on the problem and all is sorted now. What I like about it is the fact that it’s server based which makes it easy to fix bugs cos all they have to do is update in once on their side and also that allows Mac users like me the ability to work with it. A lot of software on the WF is only for PCs so I can never use them. yes, I’m using spc but it’s a bit annoying that you can only have 10 chapters and certain number of pictures per chapter. It saves a lot of time on formatting though and produces a professional looking ebook which is good. His training is thorough too. Reading some of the comments on the WF thread about it I wouldn’t be surprised to see some extra features being added on over-time. A WF launch can be like the best “testing ground” for any IM product because people will tell you what they liked and what they didn’t so I wouldn’t be surprised if they take some of those comments on board and tweak a few things. Very valuable article. I’ll have to add this to my long list of things that I need to do to generate traffic. It seems that having your own products, whether free or paid is essential to having massive success in this business. You actually answered a question I had earlier today about what to do after the first product gets created. Now I have a roadmap, time to get creating. I dunno, a lot of people avoid these methods but I like them because of that…their a little “out there” but because of the smaller competition you can see results a lot faster! Oh cool. I’ll be trying this out, once I finish with all the other stuff I want to get done by June. You’re posts are always very informative and not like the other contents out there. I’d be sharing more on SEO, list building, and product creation, so you’re content on different kinds of traffic really is cool. I like the bit about the ebook being viral enough that it’s in lots of free ebook directories, but how about just uploading it in Scribd, or sites like Scribd? Is this different from your last post on traffic? Thanks Miggy – I’ll be looking out for your SEO tips because thats an area I am really weak in. That’s one of the best things about blogging, everyone of us has different strengths & interests that we can share with others and help them on their way! Ya sure you could definitely upload it to Scribd. You could upload the ebook as a whole and you could also break it down into Topics. If you break it down, say by Chapter, you will try and rank each document for a different keyword phrase in Scribd… I say try and do both and get the maximum possible out of your content. Hi Noel, this is a great post, I can see that you put a lot of time and effort into it. There is a wealth of information here. I will definitely be coming back here when I am ready to start creating ebooks to generate traffic. Just have to finish some other things I have going on. Thats all sounds cool & hope all is going well with you! I have been struggling to write my own ebook. thanks for all the information you provide here. I will use this as a guide to get my ebook out asap. Thanks for the encouraging words – means a great deal! I liked this post, it was packed full of information and written well. Glad you liked it – I’ve some good content coming down the line so hopefully I’ll keep the standards high! Nicely written with step by step details. This is a great guide on how to cloak affliate links. Cheers, very important to cloak your links because as your ebook floats around the web it’s super easy for people to steal your commissions. Taking the extra step of tidying up your links and cloaking them could be the difference between you getting credited with the commission or missing out. Def for the IM niche, where everyone is so savy these days, it’s important to cloak your links. What a super monster post packed with some real valuable information… I love coming here to read what you have to say! I’ve also heard about Omar’s product but unfortunately I don’t have the budget to cover the cost yet – I had a look at your before and after and yes, your afters look great! Thanks, ya I was fairly tired after finally getting it online – was a struggle at times! All I’d really like people to take away from these Traffic Series posts is an idea, or maybe a different perspective on how to increase their traffic, build some authority and make a few $$$$s. I don’t think any of us will be able to implement them all to the max, there are only 24hrs in a day after all, but at least it plants the seed and adds another weapon to the arsenal! Cheers for your comment, you always add great stuff to the discussion! You can quote them once you provide credit and link back to the original post here but please don’t “copy & paste” large chunks of them.